It's always smart to have a few last minute gift ideas around the holidays. A gift for a coworker you might have overlooked, a thoughtful gesture to the friendly postal worker, or something for your next-door neighbor who unexpectedly drop off a gift for you the other night: you never know when you'll need a gift in a bind. 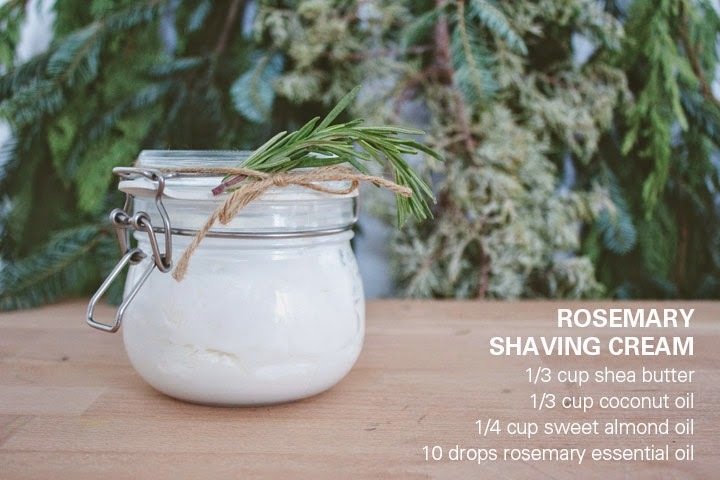 Below are two simple homemade last minute gift ideas: a coffee mud mask and rosemary shaving cream. Whip together these recipes, attach a little "how to" card, and you'll be prepared for any last minute gift situation that my arise. 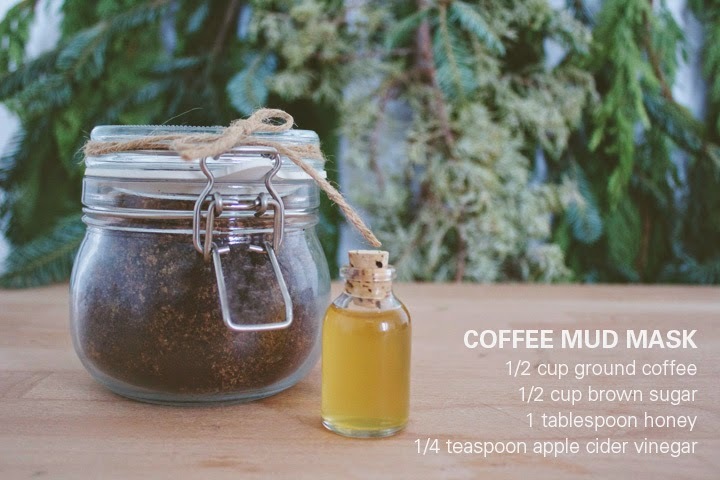 Combine 1 tablespoon ground coffee, 1 tablespoon brown sugar, honey, and apple cider vinegar in a small bowl. Apply to face for 30-45 minutes. Before rinsing off that mask, dip your fingers in warm water and message face. There is will extra ground coffee and brown sugar that can be used for future masks. In a small saucepan over low heat, melt shea butter and coconut oil. Remove from the heat, place in small bowl, and mix in the almond oil and the essential oil. Place bowl in the refrigerator and chill until solid. Once firm, whip using a mixer (hand or stand) until light and fluffy. Spoon into a jar and keep in the refrigerator or a cool, dry place. *You can also add in 3-5 drops of peppermint essential oil for a mint scent that perfectly compliments the rosemary. Interested in more last minute gift ideas? 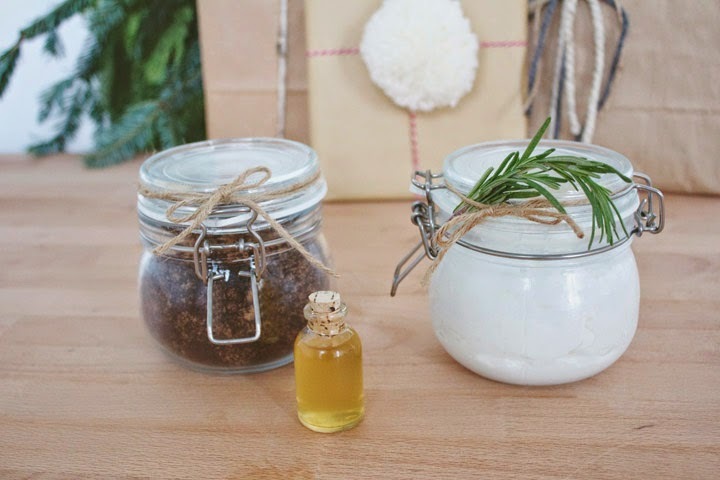 Check out our homemade gifts from last year: coconut oil lotion, brown sugar scrub, and coconut milk + oatmeal bath soak. Make these homemade last minute gifts and tag your photos #fmholidays.